Making crafts is a wonderful way to spend quality time with your senior loved ones this Valentine’s Day in Oshkosh. Home care experts suggest 5 crafts to stimulate different regions of your loved one’s brain and enhance his or her motor skills and dexterity. Cut heart shapes from red, pink, and white felt. Using contrasting embroidery thread, your loved one can sew symbols on one side of the felt hearts. Sew two hearts together, leaving a small area open, and fill the hearts with potpourri, scented wax, or any other fragrant substance. Sew the hearts closed and place around the home. Use construction paper or poster board for the background of the picture. Cut out smaller contrasting hearts from construction paper and attach the hearts to the background in rows. Create a large letter “u,” attach the letter to the center of the picture, and frame the picture. 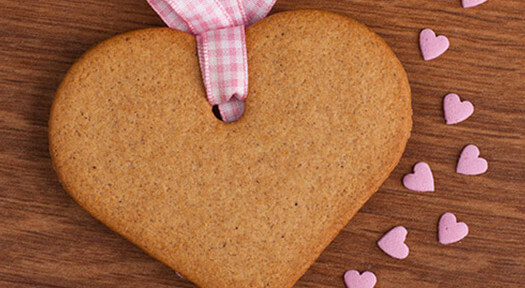 Using your favorite sugar cookie recipe, cut out heart shapes and bake. You and your loved one can then decorate the cookies with colored frosting, decorative icing, and candies. Gather red pipe cleaners, red three-sided beads, and white lace. Thread the beads and lace onto each pipe cleaner, alternating one bead followed by a fold of lace, then combine the ends of the pipe cleaner and shape into a heart. Attach a small safety pin to the back and a red ribbon to the front of the heart pin. The supplies you need for this craft include canning jars with lids, red and white gingham, red, pink, and white felt, and red ribbon. Create a large heart to attach to the front of the jar, then make two smaller hearts and attach to the large heart. Embellish with a contrasting colored banner boasting “XOXO” and attach a small red bow to the top of the heart. Take apart the jar lid and replace the base with a piece of gingham fabric. Fill the jar with conversation hearts, red and silver chocolate kisses, or other holiday-themed candies. Crafting is often advised for seniors with Alzheimer’s, dementia, or any other cognitive impairment. If your senior loved one experiences cognitive decline, hiring professional caregivers can prove helpful. At Home Care Assistance, our respite and live-in caregivers encourage and assist seniors in all creative tasks to stimulate the mind and slow down cognitive decline. To learn more about our reliable senior care plans and dementia caregivers in Oshkosh, get in touch with one of our knowledgeable Care Managers today at (920) 710-2273.